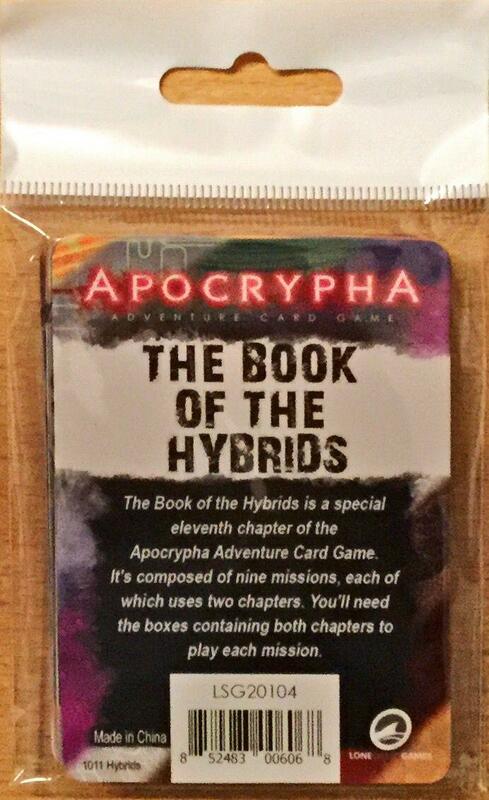 The Book of the Hybrids is a special eleventh chapter of the Apocrypha Adventure Card Game. It's composed of nine missions, each of which uses two chapters. You'll need the boxes containing both chapters to play each mission.